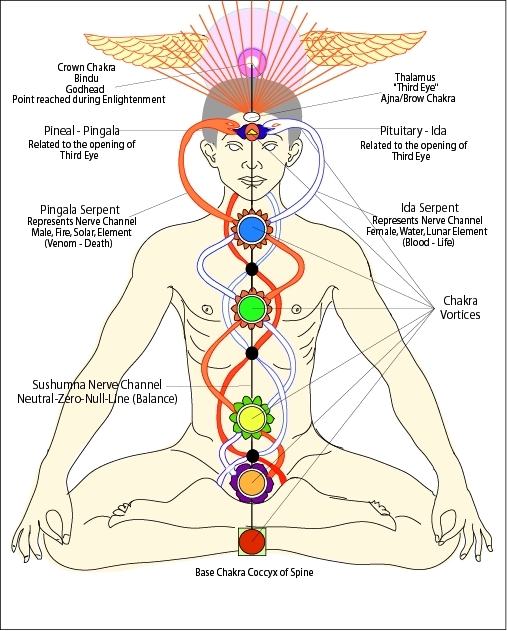 Kundalini Chakras and the allied ancient wisdom seem to be a myth so long for most of the modern kind. With the acquired knowledge of modern science, the Kundalini Chakras and their presence can be explored, using Kirlian Photography and Thermo Scanner. These were first pointed by Indian mystics, 5000 years back. Most of us know that the human body is a powerful machine, possessing super powers. Our ancients called us as energy-bodies, by saying `Aham brahmasmi` which means "I possess God within myself in the form of energy-field of the Universe. 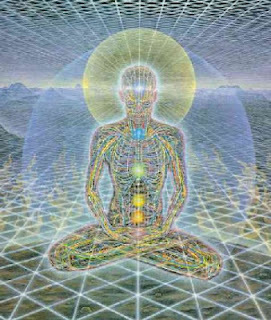 Human body is a tiny sample of the Universe in every aspect and should be balanced by `Panchabhutas`(Five Vital Energirs) like Earth, Fire, Air, Water and Space, which are also representing invisible Kundaline chakras. Our ancient mystics without any device, could locate Kundalini chakras in the spine; it is still a miracle for most of us. Now the western world also recognized these Chakras as energy centres, understood them as prime points controlling the whole body with the aid of endocrine systems. However, these chakras cannot be seen by naked eye (as any form of energy is invisible to us). Few sensitive persons may feel their existence. Kundalini refers to Serpent energy, which is very apt, because it is powerful and alert as a snake coiled 3.5 times resembling the structure of DNA. 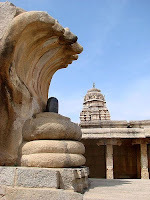 These symbolic snakes can seen in most of the Shivan temples(carved in rock). Chakra means `wheel` , circular in shape. These Chakras can be identified by their individual colour and frequency, maintaining the same dimension as the other chakras. There are mainly seven chakras representing visible spectra of light(VIBGYOR colours) known with different names like Sahasrara, Ajna, Visudha, Anahatha, Manipuraka, Swadhisthana and Muladhara. They are located along spine. Each Chakra has a variety of factors associated with colours, sounds, gods, elemental energy etc. Chakras are entry points to the body for subtle energy and they are connected witth the important glands, as specified in the medical science.